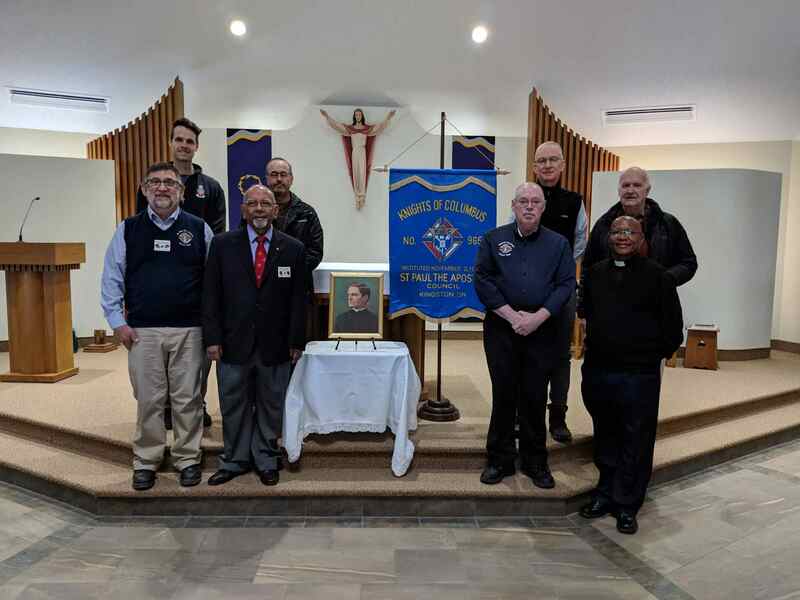 Council 9652 celebrated our founder, Fr. Michael J. McGivney; in conjunction with a Mass for St. Marguerite Bourgeoys Catholic School. There were over 200 students, their teachers parishoners & brother Knights present. A short explanation was given by our seminarian, Michel Quenneville, with Fr. Paul Mawalla officiating.